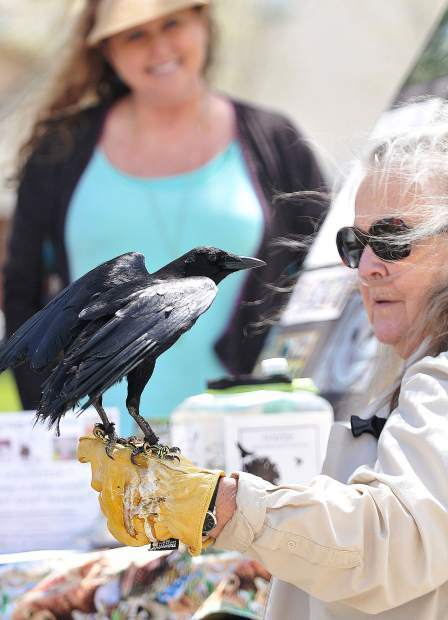 Wildlife Rehabilitation and Release's Laurel Gunderson holds an American Crow named Sir Winston Churchill during Thursday's Earth Day celebration at Sierra College in Grass Valley. 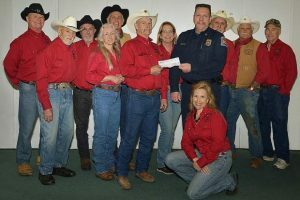 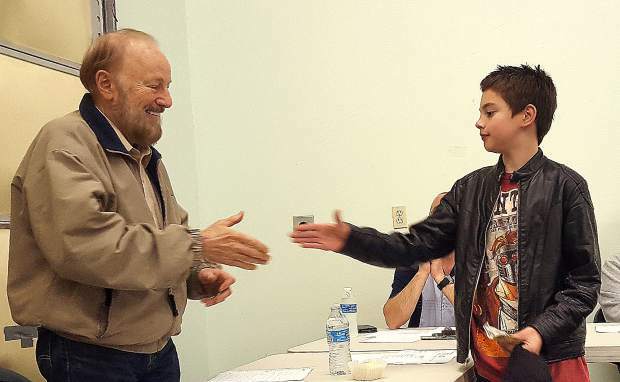 The college held an informational fair with booths from various local organizations including the Audubon Society, Grass Valley Cross Fit, Briar Patch Co-Op, Tobacco Use Prevention and Education, and the Eco's club to name a few. 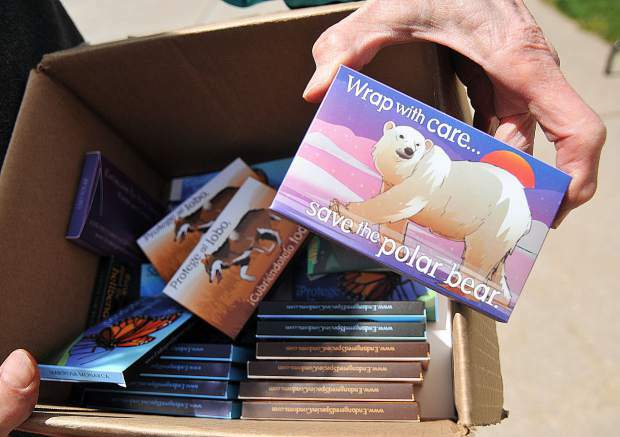 Eco's Club's Geri Stout passes out endangered species condoms that are intended to spark debate about over population of the globe, and the strain that it puts on the animals of the world. 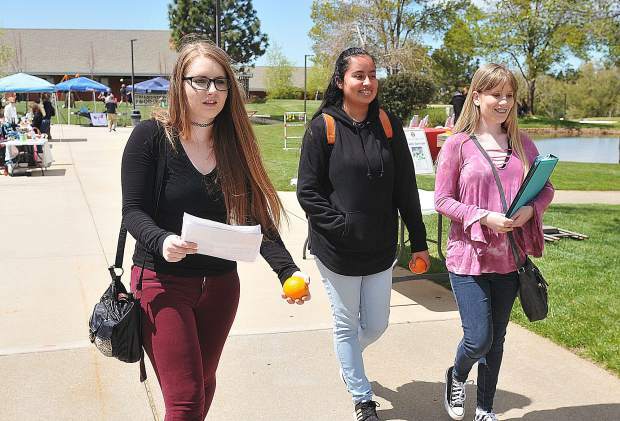 Sierra College's Taylor Gemignani (from left) Jessica Urzua, and Eryn Westervelt, walk in between the Earth Day booths set up in the campus' quad Wednesday. 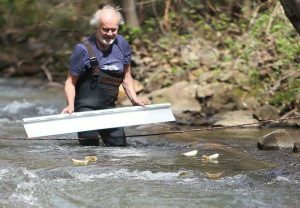 The trio used the day to get extra credit for history and geology. 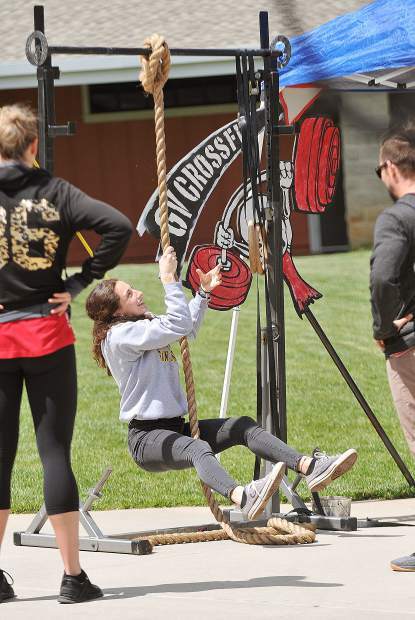 Sierra College student Emilia Melancon, climbs a rope offered by the Grass Valley Cross Fit booth. 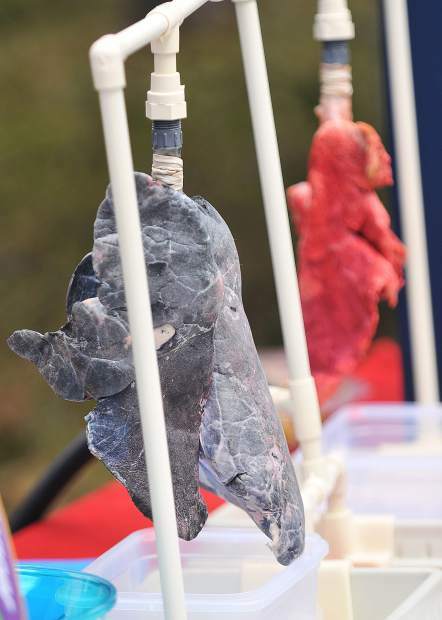 Tobacco Use Prevention and Education clubs' display of pig lungs demonstrates what an adult's lungs would look like after 20 years of smoking. 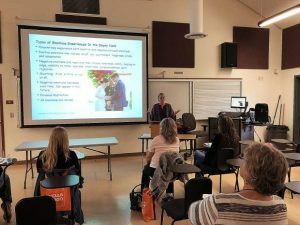 Sierra College’s Nevada County Campus in Grass Valley held an informational fair with booths from various local organizations including the Audubon Society, Grass Valley Cross Fit, Briar Patch Co-Op, Tobacco Use Prevention and Education and the Eco’s club, to name a few.